Do you know your internet marketing terminology? Being such a quickly growing industry, it can be easy to fall behind on new terms and abbreviations that may not have even existed a year ago. It’s important to stay up-to-date and understand terminology as it comes and goes throughout your day to day conversation. Especially if you want to remain competitive. Here at AdLuge be put together an internal glossary of industry terminology. Now, we’re passing that glossary on to you! We decided to put all internet marketing terminology into one convenient easy to read eBook, The AdLuge Internet Marketing Glossary. If you’re someone a little unfamiliar with the landscape, or just want to make sure you’re up to date, this guide is for you! Through Search Engines, & Social Media! 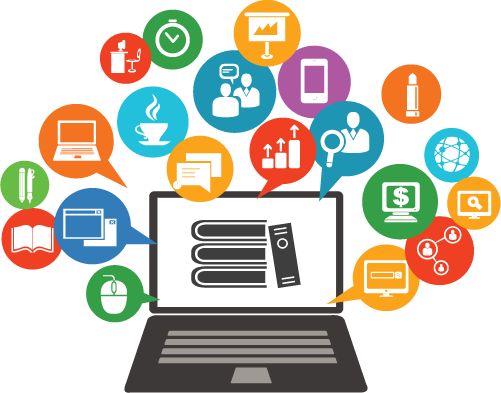 Get relevant visitors to your website with targeted online advertising campaigns. Lead intelligence to the max! Understand where every one of your leads is coming from with our custom cookie identifiers. Follow Leads Through The Sales Process! With all your leads in one place, now you can assign, make notes and follow up reminders, create opportunities and win new business. Understand what lead sources are generating business! With easy to read reports and lead source data you can easily see what ad campaigns are getting you business. Create Actionable Improvements! No campaign is ever perfect. Connect with your dedicated AdLuge expert to receive InSights for actionable improvement.